While Gettysburg, Pennsylvania, is best know for the role it played in a pivotal three-day battle in 1863 during America’s Civil War, the beauty of this historic town and its surroundings are less well known. Over 140 eye-catching color photos and an engaging text reveal beauty and history, including sites such as Lincoln Square, the Lutheran Theological Seminary, Gettysburg College, historic houses and shops along Baltimore, Carlisle, Chambersburg, and York Streets, Steinwehr Avenue, Taneytown Road, the Gettysburg Hotel, the Soldier’s National Cemetery, and, of course, Gettysburg National Military Park. Victorian homes, including structures that played an active role in the Battle of Gettysburg, and a sampling from the roughly 1,400 monuments dedicated to Civil War soldiers, generals, and battalions are all included. 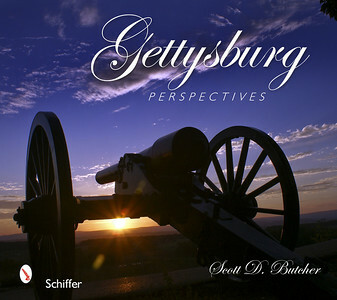 This is the perfect guide for visitors and residents of historic Gettysburg, Pennsylvania.